Once again the Republican party is scrambling to shake off charges of elitism after a new scandal threatens attempts to appeal to the common man before the 2012 election. For years reporters have been asking multimillionaire Republicans ‘Gotcha’ questions to put them on the spot and prove they don’t understand the plight of average Americans. Many people believe the first such incident took place during the 1992 election when multimillionaire George H.W. Bush was asked the price of a gallon of milk and he seemed unfamiliar neither with the price nor with the concept of grocery stores, milk, or that liquid had been changed to gallons from the biblical standard of baths. In actuality, the first such ‘Gotcha’ incident came when multimillionaire Theodore Roosevelt uttered his famous foreign policy slogan, “Speak softly and carry a big stick,” and was immediately asked by reporters if he could cite the current price of sticks. In 1996, Bob Dole was asked to name his favorite microwaveable pizza and whether he preferred the pizza to cook on a pan or to be placed directly on the rack. In 2000, George Bush Jr. was asked how many ounces of soda could be held by a standard SUV cup-holder. In 2008, John McCain was asked if he knew the price of a Seinfeld DVD boxed set. Rick Perry was asked if he knew the price of downloading Angry Birds from the iTunes store. Michele Bachmann was asked to explain the privacy settings on Facebook. Jon Huntsman was asked what president’s face was featured on the $1 bill. 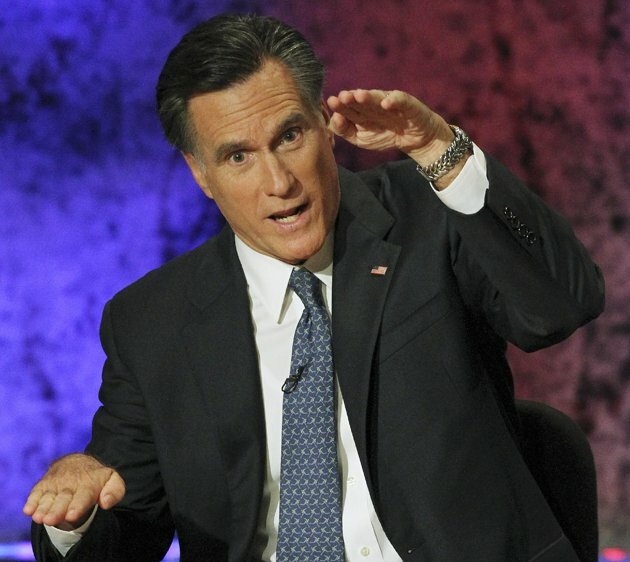 Mitt claimed he gave high five all the time but looked less than convincing when the moderator asked him to demonstrate how a high five worked. I vote no for president! How can he bring America together if he’s not able to high five people on both sides of the aisle? Mitt just misunderstood the question. He thought the moderator was asking about the “high/low five split”. Pegoleg is funny! I think I am going to have to start following her. I am thankful for photo-ops and the stories you create that change the photo-ops to photo-flops. Funny photo-flops at that! Great! I’m having a 2-for-1 special on subscriptions right now. Herman Cain, the front runner du jour, was asked which brand of beer went best with the Meat Slammers Pizza currently being offered by Godfather’s. Obviously, that would be either Beck’s or Molson’s Golden. It seems like Herman Cain would have an unfair advantage when asked any questions about pizza. When served a bowl of Guacamole in a Mex-Tex restaurant, Michelle Bachmann became outraged, swearing she no longer ate pureed Iguana (a GOP delicacy). Pureed Iguana is so 2008. – and so not Vegan! Depending on which part of Miami in which you live, Toussaint L’Ouverture or Jose Marti is on the $1 bill. The rest of us use the one with Thomas Edison. I suppose they don’t have the plates just right yet. Hey, who cares? A buck’s a buck. Think of all the time and energy this sort of stuff saves the writers at SNL. I was awesome at The Price is Right. I would have cleaned up! But then I would be rich, and would that ruin my edge? Would I then only be good at citing the cost of Gucci diaper bags and solid gold nutcrackers? It seems watching The Price is Right every day would be the most efficient way for these politicians to learn how to pretend to be a common man. Mitt’s version ends with “you just cleaned my solid gold bidet” but it’s not likely to catch on because it doesn’t rhyme. 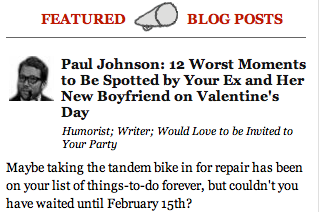 PS Your blog is darn funny. Mitt has really hairy looking knuckles. I thought he was wearing mittens at first glance. Maybe Mitt misheard the question. He seems to be under the impression that he was asked to reprise his role as a 1960s TV robot. He was explaining his ideas for improving the economy including charging other countries for use of American dance moves like the robot. About Carl’s comment– Having lived in Haiti for a year, I’m here to assure everyone that most in Port-au-Prince would be happy to have a dollar bill with anyone’s face on it. A lot of people accuse politicians of being out of touch, but they sure seem to get in enough trouble for touching other people. Um… What happens if I fail all those questions, including who is on the $1 bill, and the fact that DECADES have passe since last I high-fived? Are you sure he’s not trying to show us the size of his…(ahem)…fish? I don’t think he misunderstood the question. I think he was perturbed that anyone would dare question his obviously in-touch-with-the-peopleness, and decided to pull a Trump by telling the moderator that he was fired, snake hand style. He probably thought he owned everyone in the room, anyway.